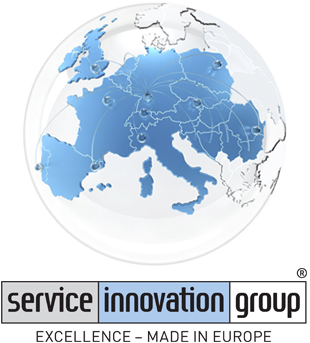 Service Innovation Group is one of the leading field marketing companies in Europe. An internationally oriented management and an optimised corporate structure guarantee our clients access to process know-how, state-of-the-art technology and wide-reaching contacts throughout Europe. We have established a strong presence in all strategically important European markets via own subsidiaries, joint ventures or strategic execution partners. As a long-standing partner for many well-known companies, we operate across numerous sectors. Our international management team ensures a European-wide knowledge transfer which forms the basis for our sustainable relationships with blue chip companies all over Europe. For us, innovation begins with analysis, research and consultation. This, along with our operative service components, ensures we transform your business processes, and have a lasting effect on your product and service sales.